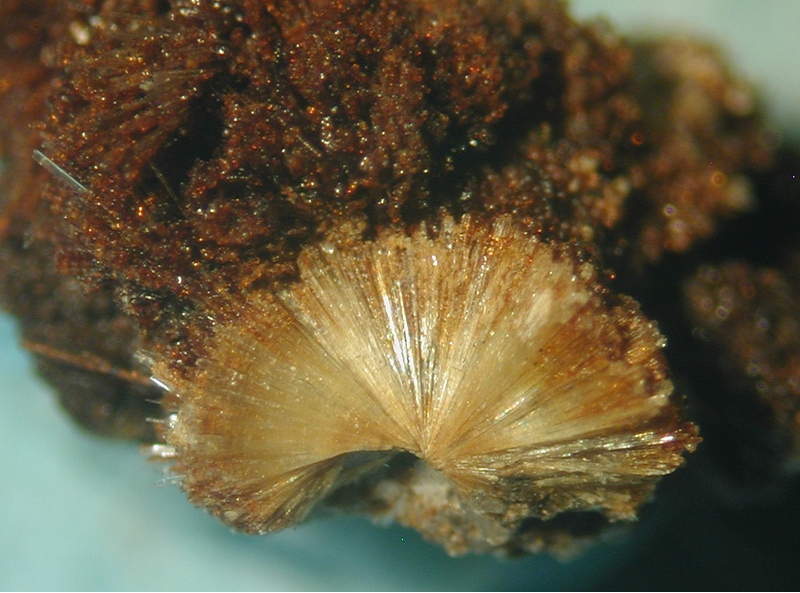 Hisingerite: Mineral information, data and localities. 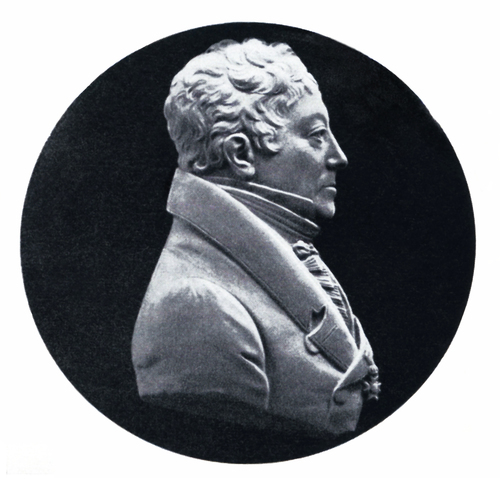 Named in 1828 by Jöns Jakob Berzelius in honor of Wilhelm Hisinger [December 23, 1766 Västmanland, Sweden – June 28, 1852 Skinnskatteberg, Västmanland, Sweden]. Hisinger was a Swedish chemist and mineralogist who worked with Jöns Jakob Berzelius researching electrolysis and the consistency of certain elements to be attracted to similarly charged poles. Hisinger was a co-discoverer of the element cerium, with Berzelius. Amorphous to poorly crystalline hydrated iron(III) layer silicate. Compare the visually similar siderogel. Massive, compact, may be minutely botryoidal or crudely spherical. ICDD 26-1140. Note 1: May be very poorly crystalline with d = 4.45 (s), 3.53 (s), 2.56 (s), 1.71 (s), 1.54 (s) and may be very similar to data of neotocite. Note 2: The former hisingerite pattern has significant shifts from ICDD 26-1140. Weathered zone of a cobalt and Rare Earth element polymetallic deposit. Degeroite A magnesian variety of Hisingerite. 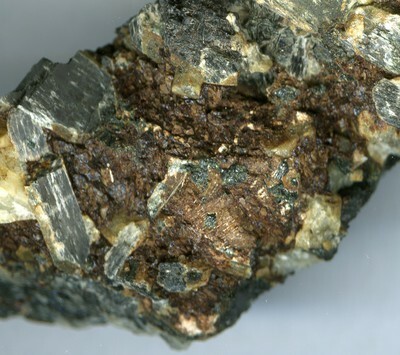 Pyrite 11 photos of Hisingerite associated with Pyrite on mindat.org. Calcite 8 photos of Hisingerite associated with Calcite on mindat.org. Apophyllite 6 photos of Hisingerite associated with Apophyllite on mindat.org. Limonite 5 photos of Hisingerite associated with Limonite on mindat.org. Fluorite 5 photos of Hisingerite associated with Fluorite on mindat.org. Chalcopyrite 4 photos of Hisingerite associated with Chalcopyrite on mindat.org. Lemoynite 3 photos of Hisingerite associated with Lemoynite on mindat.org. Galena 3 photos of Hisingerite associated with Galena on mindat.org. Albite 3 photos of Hisingerite associated with Albite on mindat.org. Mooihoekite 3 photos of Hisingerite associated with Mooihoekite on mindat.org. 71.1.5.4 Neotocite (Mn,Fe,Mg)SiO3 · H2O Amor. Berzelius, Jöns Jakob (1828) Poggendorff, v. 13, p. 505. Whelan, J. A. and Goldich, S. S. (1961): New data for hisingerite and neotocite. Amer. Mineral., 46, 1412-1423. Clays and Clay Minerals (1984): 32: 272. Clays and Clay Minerals, 46 (4), 400-413, 1998. The following Hisingerite specimens are currently listed for sale on minfind.com. Minerals of Broken Hill, Worner, Dr H. K. and Mitchell, R. W., eds. ⓘ Ban Ban zinc deposit ? Ashley, P. M. (1980): Geology of the Ban Ban zinc deposit, a sulfide-bearing skarn, Southeast Queensland, Australia. Economic Geology 75, 15-29. Dr. Fritz Berndt ore collection, # R-110. Guitard, G. (2010): Catalogue raisonné de la collection de minéralogie régionale, C.E.R.P. de Tautavel, 143. Rellini I., Trombino L., Carbone C., Firpo M. (2011): Petroplinthite formation in a Quaternary complex paleosol along NW Italian coast: from micromorphology to landscape evolution. Geophysical Research Abstracts, 13-2011; Balestra C. (2014): Sistematica ligure 2014. Prie, 10, 35-37; Rellini I., Trombino L., Carbone C., Firpo, M. (2014): Petroplinthite formation in a pedosedimentary sequence along a northern Mediterranean coast: from micromorphology to landscape evolution. Journal of Soils and Sediments, 1-18. Imai, N. (1976) journal of the Japan Association of Mineralogists, Petrologists and Economic Geologists, 71, 255-263.
ⓘ Ljosland 10 Feldspar Quarry (Storsynken) ? Neumann, H. (1985): Norges Mineraler. Norges Geologiske Undersøkelse Skrifter 68, (p. 98). Neumann, H. (1985): Norges Mineraler. Norges Geologiske Undersøkelse Skrifter 68, p. 218. Rogulina, L.I., and Sveshnikova, O.L. (2008): Geology of Ore Deposits 50(1), 60-74.; Dobovol'skaya, M. G., Baskina, V. A., Balashova, S. P., Kenisarin, A. M., Arakelyants, M. M., Klimachev, L. A., & Muravitskaya, G. N. (1990). Order of Formation of the Ores and Mafic Dikes of the Nikolayevsk Deposit (Southern Primor'ye). International Geology Review, 32(4), 391-403. Eggleton, R.A. and Tilley, D. B. (1998) Hisingerite: A Ferric Kaolin Mineral with Curved Morphology. Clays and Clay Minerals: 46 (4): 400-413. Anthony, J.W., et al (1995), Mineralogy of Arizona, 3rd.ed. : 251; Peterson, N.P., et al (1951), Geology and ore deposits of the Castle Dome area, Gila Co., USGS Bull. 971; Peterson, N.P. (1947), Phosphate minerals in the Castle Dome copper deposit, AZ, Am.Min. : 32: 574-582. Anthony, J.W., et al (1995), Mineralogy of Arizona, 3rd.ed. : 251; Williams, S.A, (1963), Oxidation of sulfide ores in the Mildren and Steppe mining districts, Pima Co., AZ, Econ.Geol. : 58: 1119-1125. Anthony, J.W., et al (1995), Mineralogy of Arizona, 3rd.ed. : 252; Bideaux, R.A. (1980), Tiger, AZ, Min.Rec. : 11: 155-181. Morgan, V. and Erd, R.C. (1969) Minerals of the Kramer borate district, California California Division of Mines and Geology Mineral Information Service: 22(9): 152, 165, 168; Pemberton, H. Earl (1983), Minerals of California; Van Nostrand Reinholt Press: 66, 438; Cal Div of Mines & Geology "Mineral Information Service: 22(9) (Sept 1969). ⓘ Desert Gold claims ? Murdoch, Joseph & Robert W. Webb (1966), Minerals of California, Centennial Volume (1866-1966): California Division Mines & Geology Bulletin 189: 373; Pemberton, H. Earl (1983), Minerals of California: 355. Murdoch, Joseph & Robert W. Webb (1966), Minerals of California, Centennial Volume (1866-1966): California Division Mines & Geology Bulletin 189: 219; Pemberton, H. Earl (1983), Minerals of California; Van Nostrand Reinholt Press: 438. Rocks & Min. :11:216; 21:280-281; AmMin:9(1924):1-5.
ⓘ Big Rock deposit ? Schreyer, W., and Chinner, G.A. (1966): Contributions to Mineralogy and Petrology 12, 223-244.
ⓘ Tilly Foster Iron Mine ? Jensen (1978) Minerals of New York State, 42-43 (Januzzi, 1966, 1989) (Trainer, 1938). Min.Rec. :21:103; Dana 6:1069; Dana 7:I:235,241 & II:490. Mustoe, G. E. (1996b). 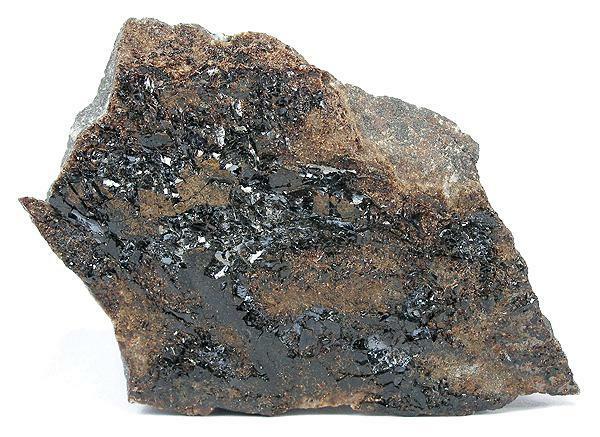 Hisingerite—a rare iron mineral from Walker Valley, Skagit County, Washington. Washington Geology v. 24, n. 4 (December, 1996) pp 14-19. Nash, J. T., & Lehrman, N. J. (1975). Geology of the Midnite uranium mine, Stevens County, Washington; a preliminary report (No. 75-402). US Geological Survey],.